Small SQL Database notable for its in-memory functionality. Distributed SQL query engine for big data. A small client for interaction with redis, with methods for commands. Mobile database to run directly inside phones, tablets or wearables. High performance JDBC connection pool. Data warehouse infrastructure built on top of Hadoop. OrientDB is the first Multi-Model DBMS with Document & Graph engine. OrientDB can run distributed (Multi-Master), supports SQL, ACID Transactions, Full-Text indexing, Reactive Queries and has a small memory footprint. OrientDB is licensed with Apache 2 license and the development is driven by OrientDB LTD and a worldwide Open Source community. 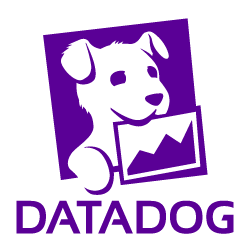 Embedded database engine that provides concurrent collections backed on disk or in off-heap memory. Generates typesafe code based on SQL schema. Client for the Elasticsearch REST API. Distributed data store that implements data synchronization, sharding, scaling, and replication. In addition, it provides a SQL-based syntax to execute queries across a cluster. A modern, lightweight but powerful object mapping and SQL generator. Easily map to or create databases, perform queries and updates from any platform that uses Java. Efficient in-memory (opt. persisted to disk) off-heap key-value store. A database access library that utilizes the Java 8 Stream API for querying. High performance relational database layer over HBase for low latency applications. Thin JDBC wrapper that simplyfies database access and provides simple mapping of ResultSets to POJOs. Brings metrics and failover strategies to the most common connection pooling solutions. Highly concurrent transactional schema-less and ACID-compliant embedded database. JetBrains Xodus is a Java transactional schema-less embedded database used by JetBrains YouTrack and JetBrains Hub. Typesafe database queries via symbolic execution of Java 8 Lambdas (on top of JPA or jOOQ). A NoSQL document database and application platform. Launcher for MariaDB which requires no installation or external dependencies. A client library for etcd. JDBC connection pool library which offers advanced performance monitoring capabilities. Database-independent library for tracking, managing and applying database schema changes. Do you think we are missing an alternative of H2 or a related project? There are no recommendations yet. Be the first to promote H2! Have you used H2? Share your experience. Write a short recommendation and H2, you and your project will be promoted on Awesome Java. Do you know of a usefull tutorial, book or news relevant to H2?